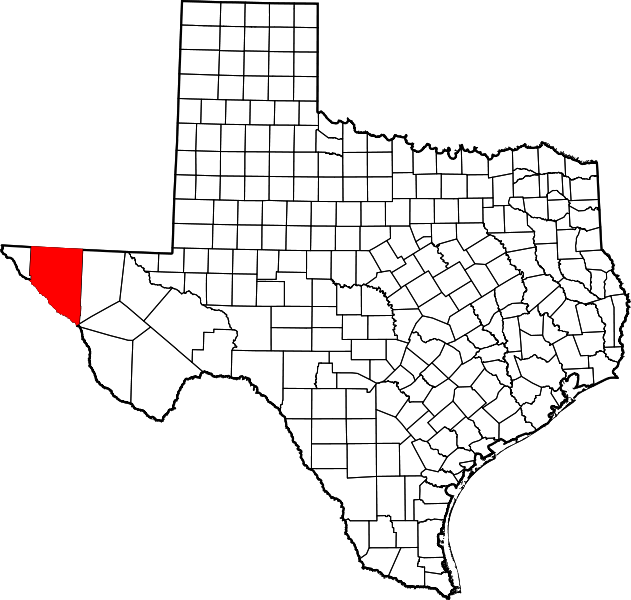 "The county covers 4,566 square miles of terrain in the Rio Grande basin that varies from mountainous to nearly level, with elevations ranging from 3,200 to 7,500 feet above sea level. 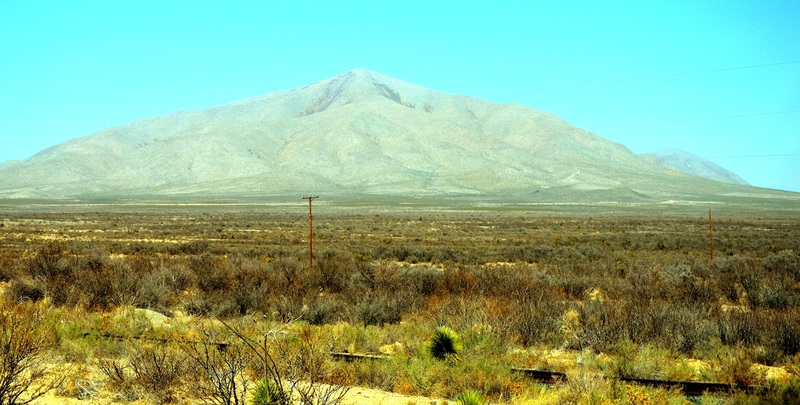 "The [former Texas] and Pacific and Southern Pacific railroads both enter southeastern Hudspeth County and meet at Sierra Blanca, from which point the latter line continues west to El Paso. 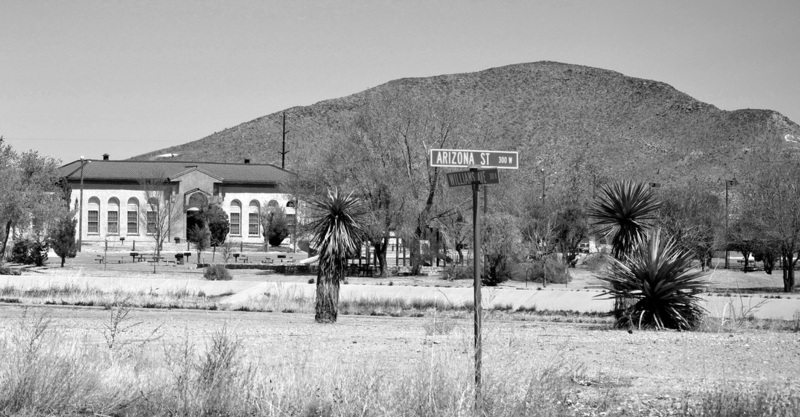 "After the Southern Pacific and Texas and Pacific railroads met a few miles south of Sierra Blanca Mountain in 1881, thereby completing the nation's second transcontinental railroad, a number of towns grew up along the tracks. The most important of these were Sierra Blanca and Allamoore. 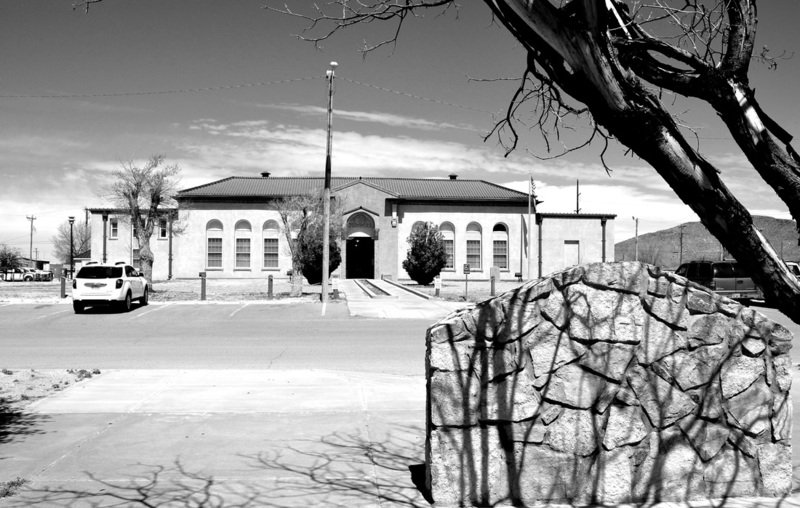 "A new county was officially organized from eastern El Paso County in February 1917. 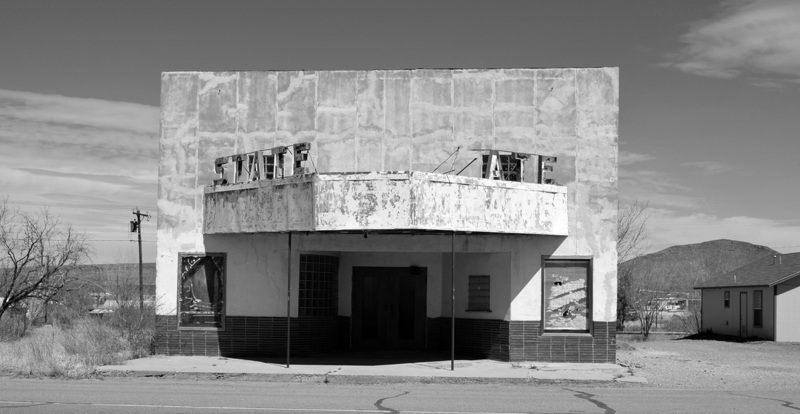 It was first to have been called Darlington County, then Turney County, before it was finally named for state senator Claude Benton Hudspeth of El Paso. 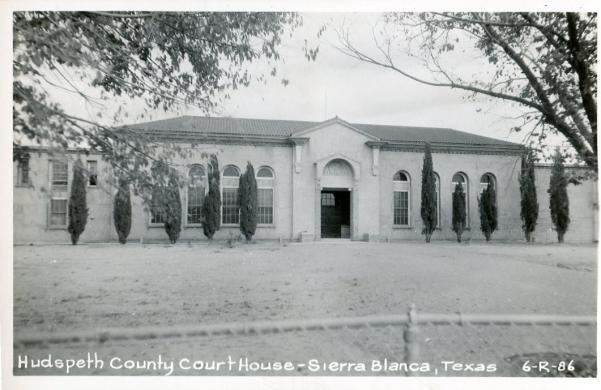 Sierra Blanca was made the county seat, and the county courthouse there is the only one in Texas made entirely of adobe. 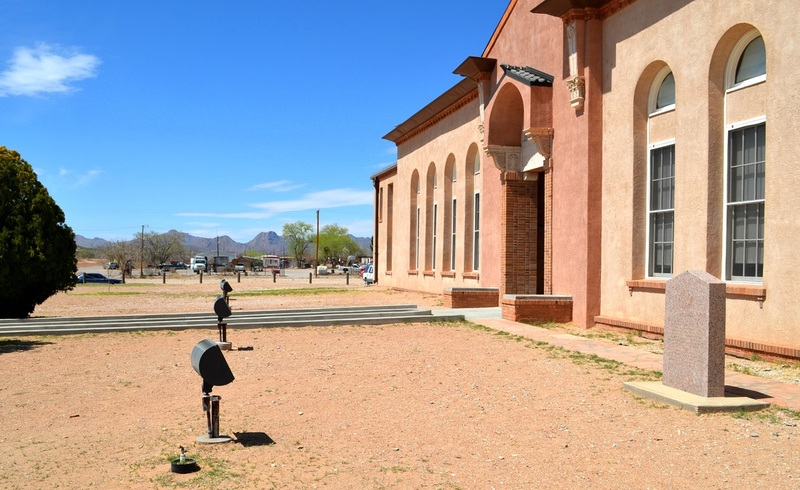 I visited Hudspeth County and photographed the courthouse in Sierra Blanca on March 22 and 24, 2013. 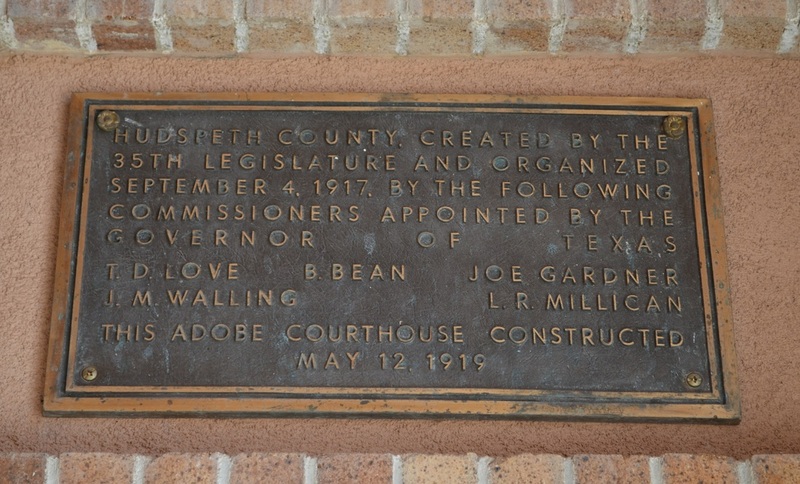 "The Hudspeth County Courthouse is a single-story adobe structure completed in 1922 to serve the newly created Hudspeth County. It is tee-shaped in plan, and contains about fourteen thousand square feet of floor space. There is a partial basement and a small mezzanine area. The eighteen inch thick exterior walls and most of the interior partitions are constructed of native adobe brick. The walls have an exterior of stucco with wire mesh attached to the adobe and an interior of plaster. The adobe bricks are 18" x 24" x 31/2" and were made on the job site. "The 18-inch wall thickness provides good thermal and acoustical insulation. High ceilings are typical of buildings designed for hot summer weather without modern air conditioning. 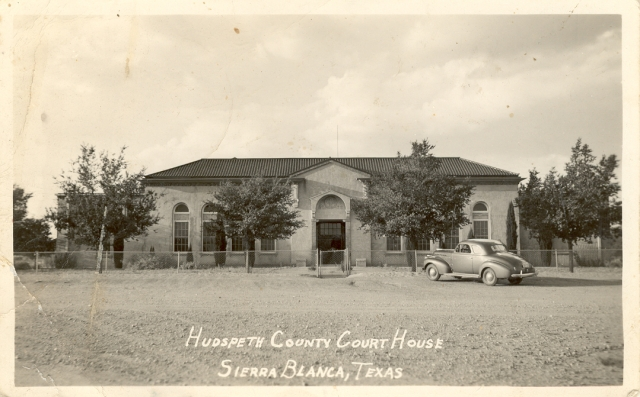 The Hudspeth County courthouse was fully restored in 2003. 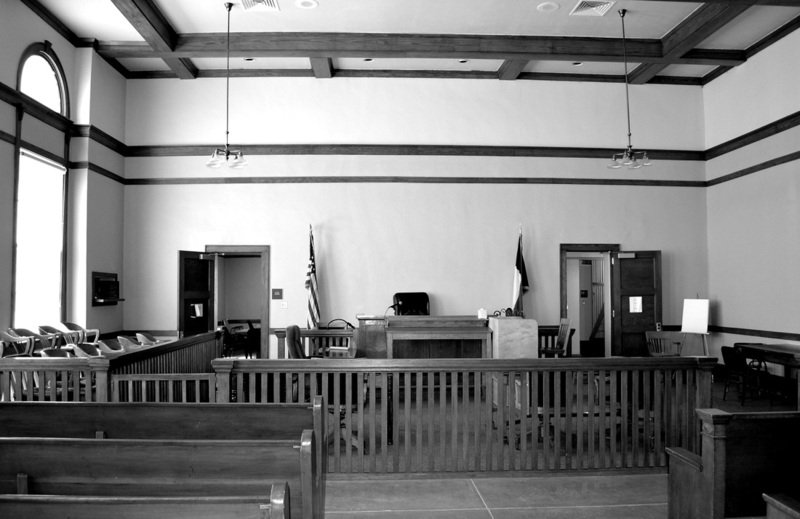 Major funding was provided by the Texas Historic Courthouse Preservation Program of the Texas Historical Commission. 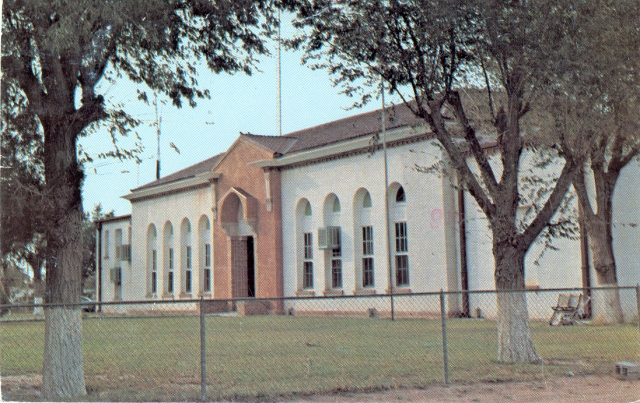 Sierra Blanca public park (1997). For a town its size, Sierra Blanca has a lot of lighted tennis courts!